Thomas Jefferson is undoubtedly best known for being the author of the Declaration of Independence as well as the third President of the United States. However, he was also a wealthy Virginia landowner who owned some six hundred slaves throughout his lifetime. Jefferson and the other Founding Fathers understood that slavery was inconsistent with the standard that they set for the United States, but there were several complications. In a way, Jefferson embodied the newfound United States’ feelings about the issue of slavery, therefore finding himself just as conflicted as the country was. When it came to drafting the Declaration of Independence, Thomas Jefferson was ready to address the issue of slavery in what would become one of the most important documents in American history. In Jefferson’s original draft he was willing to blame the institution of slavery on King George stating that “he has waged cruel war against human nature itself, violating it’s most sacred rights of life & liberty in the persons of a distant people who never offended him, captivating & carrying them into slavery in another hemisphere, or to incur miserable death in their transportation thither.” While Jefferson wasn’t quite ready to take responsibility for the colonists’ participation and reliance on the slave system, he wanted to at least acknowledge that it existed. Neither the Declaration of Independence nor the Constitution contained the words “slave” or “slavery” until the 13th Amendment. Even though Jefferson was a wealthy landowner from Virginia, he understood that the issue of slavery had to be addressed publicly in order to be solved. Philosophically, Jefferson was influenced by many of the Enlightenment thinkers, but most importantly John Locke. Locke discussed the idea that every man was born with certain inalienable rights, which Jefferson was so influenced by that he included the phrasing as well as two of the rights listed by Locke in the Declaration of Independence. Locke addressed the slavery issue in a chapter of his Second Treatise of Government. He believed that in cases of war, the act of capturing enemies who would then be enslaved was legitimate. However, outside of that realm Locke saw slavery as illegitimate and unjust, especially the enslavement of slave children. As much as Locke was an influence to Jefferson, Locke’s view of slavery did not change Jefferson’s actions as a slave owner. Jefferson received about one hundred seventy-five slaves from inheritance and he himself only purchased about twenty slaves in his lifetime. At times these purchases would be made in order to unite families. The large amount of slaves he acquired throughout his life came mainly from the natural increase of enslaved families. Backside of Thomas Jefferson’s Home, Monticello, 2009. Photo courtesy of Adrianne Wadewitz. As a slave owner Jefferson was often considered lax and generous, but as one Virginia abolitionist observed, “never did a man achieve more fame for what he did not do.” When it came down to it, Jefferson was still a slave owner whose personal and family welfare depended on the labor of slaves. He dealt with the everyday occurrences that came with owning slaves such as runaways, slave sales, family relationships, and manumissions. During Jefferson’s adult life, more than forty slaves attempted to escape Monticello, and in the cases where the runaway was found and returned Jefferson would have them flogged in hopes of proving his point. Often absent from Monticello, Jefferson would not personally take place in the punishing of slaves, but he did put overseers in charge who were not afraid to use force. Jefferson also saw himself sexually conflicted even though his Notes on the State Virginia Jefferson discussed his notion that slave women were undesirable and unattractive. It is believed that Jefferson went on to have an affair and fathered several children with one of his slaves, Sally Hemings. 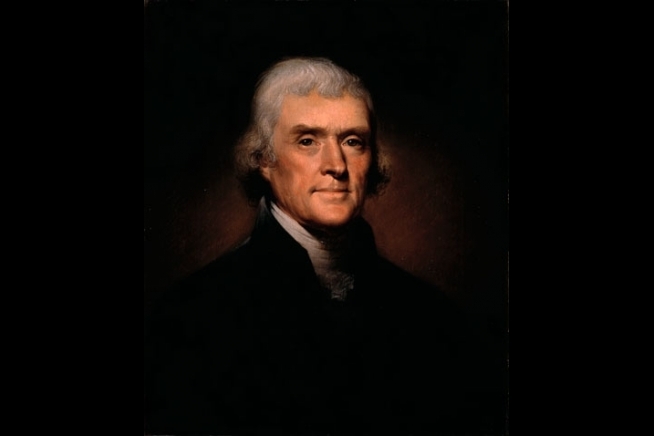 The results of a DNA test released in 1998, showed to be inconclusive as to whether Thomas Jefferson was actually the father of Hemings’ children because it is a possibility that the father could have been a blood relative of Jefferson. When looking closely at the life of Sally Hemings and the births of her children, historians have been able to trace back though records that Jefferson would have been in the same area as Sally when her children were conceived. Hemings’ children were light skinned and were said to strongly resemble Thomas Jefferson. Even though no one can say with certainty that Jefferson fathered Hemings’ children, there is a clear contradiction that existed in Jefferson’s life as a slave owner and his public views. It might be a stretch to say that the affair that Jefferson had with Sally Hemings actually made him view his slaves with more humanity, but I think it clearly brought him down to earth. While Jefferson freed very few slaves throughout his life, he freed all of Sally Hemings’ children and the Hemings family was the only nuclear family Jefferson ever freed. 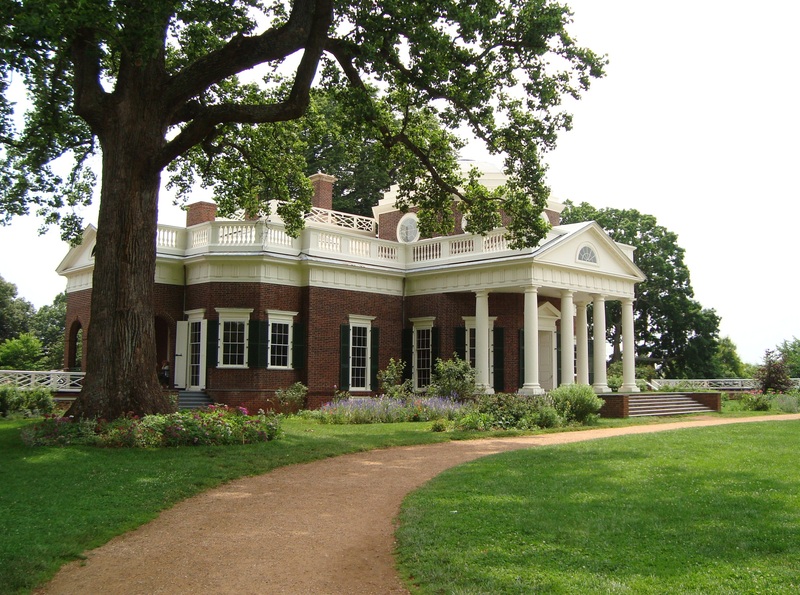 Even though Jefferson did not free Sally, she was allowed to leave Monticello shortly after Jefferson’s death by his daughter, Martha. Thomas Jefferson never owned up to the affair and his children spent several attempting to deny the allegations years after Jefferson had died. In 1852 Hemings’ son Easton Hemings actually changed his name to Easton Hemings Jefferson further adding to the speculation. 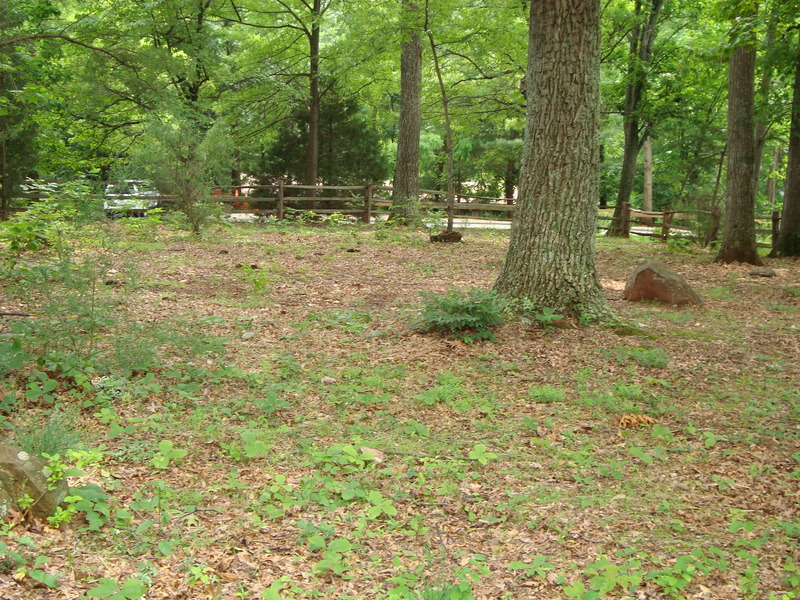 Slave Graveyard at Monticello, 2004. Photo courtesy of Adrianne Wadewitz. During his lifetime Jefferson only freed two slaves and while Jefferson did little to free many of his own slaves, he did take certain actions to try to end slavery on a larger scale. In 1784, Jefferson proposed legislation that would end slavery in the Western Territories in 1800, but it was defeated by one vote in Congress. Like most, Jefferson was a fan of gradual emancipation and believed that this could only happen with the cooperation of slave owners. Jefferson also played around with the idea of colonization. In a letter to James Monroe in the year 1802, Jefferson discussed a resolution of the Virginia legislature that pertained to the possibility of privately sending “insurgent Negroes” to the “continent of Africa, or some of the Spanish or Portuguese settlements in S. America.” Even though Jefferson wasn’t exactly drafting any groundbreaking public policies attempting to put forward colonization as an answer for slavery, he was still in communication and involved with individuals who were actively pressuring the option. During his time in office, Jefferson publicly remained silent on the domestic issue of slavery mainly because of the ongoing Haitian Revolution, which sparked fear in many parts of the United States. At the time of his death, Jefferson had hoped that he would be able to free all the enslaved people at Monticello, but a large debt he amassed would not allow this to occur. Upon his death on July 4th, 1826, fittingly the fiftieth anniversary of American Independence, Jefferson ended up freeing five enslaved men in his will. 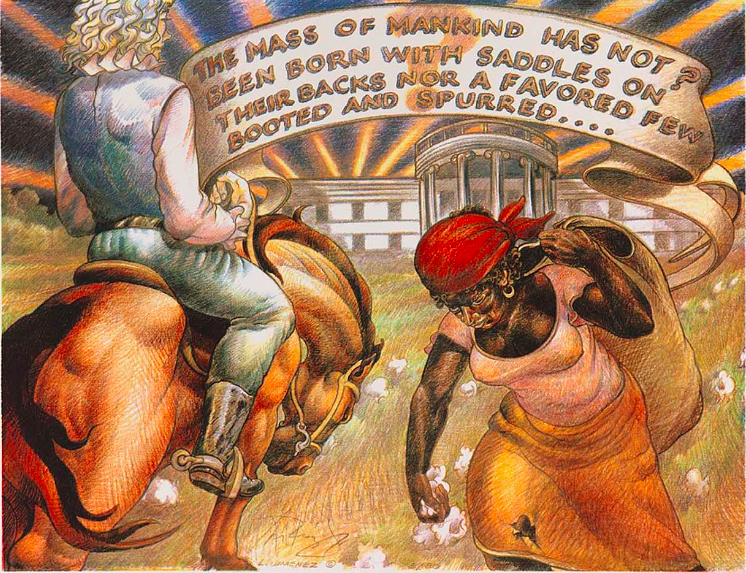 Thomas Jefferson to Roger Williams 1826- Political Cartoon by Luis Jiménez, 1992. Breen, T.H. “Confounding Father.” The American Scholar. 81.4 (2012). p 121-124. Print. Jefferson, Thomas. “To Thomas Jefferson from James Monroe, 11 June 1802.” http://founders.archives.gov/. n.d. Web. 21 February 2015. Jefferson, Thomas. “Declaring Independence: Drafting the Documents-Jefferson’s “original Rough draught” of the Declaration of Independence (1776).” loc.gov. n.d. Web. 21 February 2015. Locke, John. “On Slavery.” Second Treatise of Government. Indianapolis, Indiana: Hackett Publishing Company, 1980. Print. Monticello, Home of Thomas Jefferson <http://www.monticello.org.> Thomas Jefferson Foundation, Inc. February 2003. Web. 2 March 2015. O’Brien, Conor Cruise. “Thomas Jefferson: Radical and Racist.” The Atlantic. 278.4 (Oct 1996). p 53-74. Print.